Gratitude can be easily forgotten. Which is sad, because practising gratitude can be so powerful. We understand why you might forget about it though – we live in a complex world full of distractions and full of stimulations. We’re busier and more stressed than ever. We even struggle to find time to stay healthy. Like anything though, it’s less about finding the time and more about making the time. 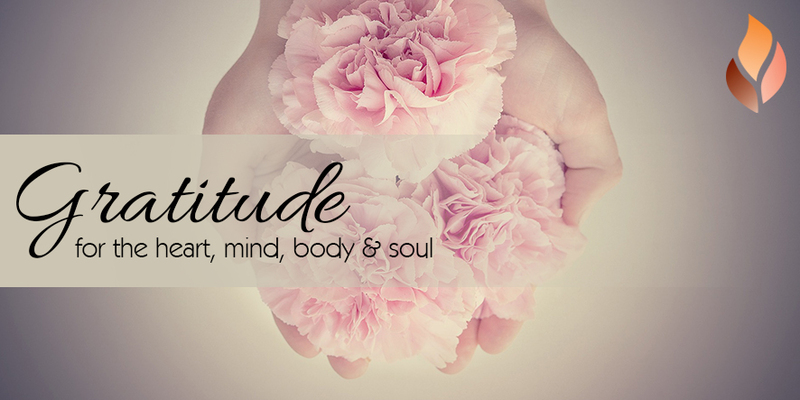 Gratitude has the amazing ability to enhance and maintain happiness and well-being, nourishing the mind, body and spirit. It’s about making the time to be thankful for what you have, recognising the good and the bad in your life and reminding yourself of what you have to be happy for. When you realise what you have to be happy for, you will be happy. Studies show that when you’re happy, you can live a longer and healthier life! Isn’t this in itself motivation to make time for gratitude? It will always come back to you. What goes around, comes around. We’re not asking you to spend hours or days immersed in a gratitude bubble (although, imagine how AMAZING you would feel after that!). All it takes to nourish the soul with gratitude is a few minutes. Make a conscious effort for the next 7 days to take a few minutes each morning for yourself (before you even pick up your mobile) and think of five things to be grateful for. This could be anything – friends, family, a new pair of shoes. No need to write it down or say it aloud (unless you want to of course). Just lie still, close your eyes and focus on your gratitude list. See what practising gratitude every morning does to your life, feelings, emotions, motivations and relationships. Remember, gratitude costs you nothing, but rewards you with a life time of benefits.